Current research and publication: Kant's Theory of Action and its implications for his moral theory. I have taught in all fields of philosophy at different universities for the past 58 years, and have published in the philosophy of Immanuel Kant, the philosophy of logic and language, the philosophy of perception, and the philosophy of action. Greenberg, Robert S. "Freedom, Time, and the Imputability of Actions". Proc. of 12th International Kant Congress. Vienna, Austria: Walter de Gruyter, Berlin/Boston, 2019. Greenberg, Robert S. FREEDOM, TIME, AND THE IMPUTABILITY OF ACTIONS. Proc. of 12th International Kant Congress. Vienna, Austria: Walter de Gruyter, 2016. Greenberg, Robert S. THE BOUNDS OF FREEDOM: KANT'S CAUSAL THEORY OF ACTION. 1ST ed. BERLIN/BOSTON: WALTER DE GRUYTER, 2016. Greenberg, Robert S. THE BOUNDS OF FREEDOM: KANT'S CAUSAL THEORY OF ACTION. Berlin/Boston: Walter de Gruyter, 2016. Greenberg, Robert S. ""Freedom, Time, and the Imputability of Actions"." 12th International Kant Congress, Vienna, Austria. Walter de Gruyter, Berlin/New York, 2015. Greenberg, Robert S. "_Real Existence, Ideal Necessity: Kant's Compromise_." Rev. of Critical Review of _Real Existence, Ideal Necessity: Kant's Compromise_, by Nicholas Stang (Department of Philosophy, University of Toronto, formerly, Department of Philosophy, University of Miami (FL). Cambridge, U.K.. Kantian Review November, 2014 : 2015. Greenberg, Robert S. ""Kant's Causal Theory of Action and the Freedom of the Will"." 23rd World Congress of Philosophy, Athens, Greece. Online publication of Abstract and Paper and paper publication to be announced by Conference organizers, who have copyrights I signed over to them, August 4, 2013. Greenberg, Robert S. ""On a Presumed Omission in Kant's Derivation of the Categorical Imperative"." Kantian Review 16. 3 (2012): 449-459. Greenberg, Robert S. "A Neglected Proposition of Identity." Cultivating Personhood: Kant and Asian Philosophy. 1st ed. Ed. Stephen R. Palmquist. Walter de Gruyter Berlin/New York, 2010. 9. Greenberg, Robert S. ""A Neglected Proposition of Identity"." (2009): 1 <Kant in Asia Conference Website>. Greenberg, Robert S. ""Some of Kant's Uses of De Re Necessity"." Proceedings of the Tenth International Kant Congress, Sao Paolo, Brazil. Walter de Gruyter, Berlin, Germany, 2008. Greenberg, Robert S. Real Existence, Ideal Necessity: Kant's Compromise and the Modalities without the Compromise. 1st ed. Berlin/New York: Walter de Gruyter, 2008. 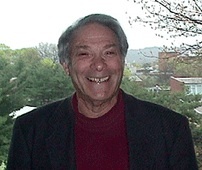 Greenberg, Robert S. "Peter Strawson." Rev. of Peter Strawson, by Clifford Brown. Kantian Review vol. 12, 2007. Greenberg,Robert S. "Necessity, Existence and Transcendental Idealism." Kantian Review (2006). Greenberg,Robert S. Abstract: Existence According to Both God and Man, in Kant. American Philosophical Association, 2006. Greenberg,Robert S. Abstract: How to Derive a Must from an Is (Kantian Style). American Philosophical Association, 2006. Greenberg,Robert S. International Interview about Kant. Moscow State University, Sovremennie Tetradi, 2006. Greenberg,Robert S. Kant's Theory of A Priori Knowledge. Penn State University Press, 2001.